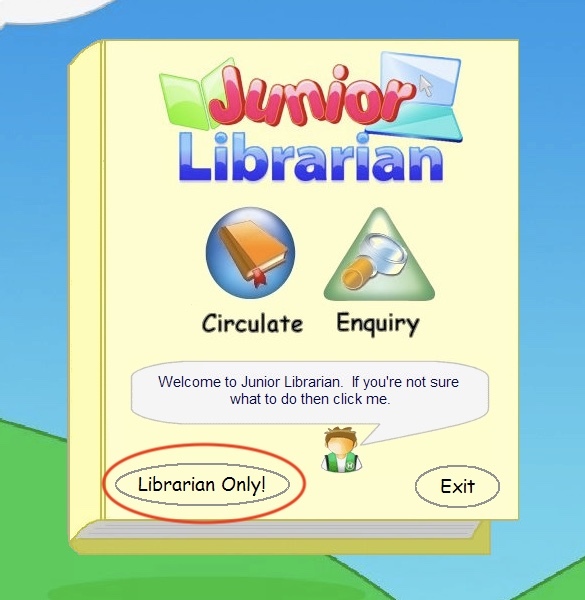 Open the Junior Librarian Software and select the Librarian Only Button. Enter your Username and Password in the dialog that opens. 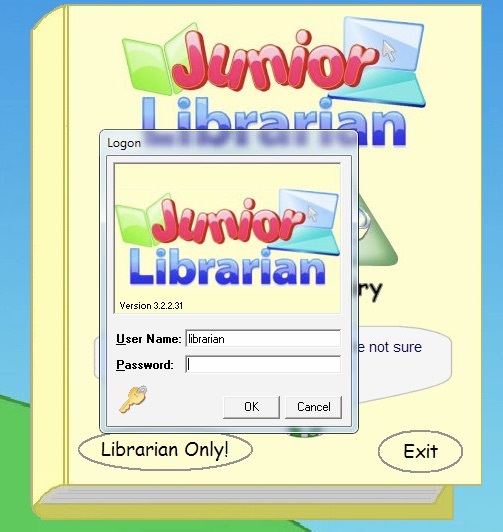 The Junior Librarian Catalogue screen will now load. 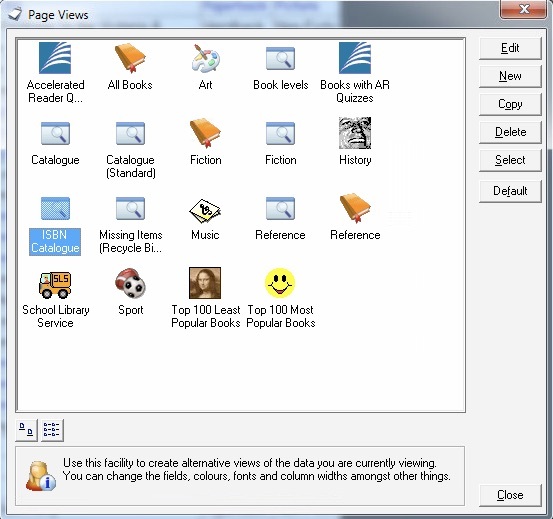 Unfortunately the default view does not show the books barcode number so we will need to create a custom view for this. 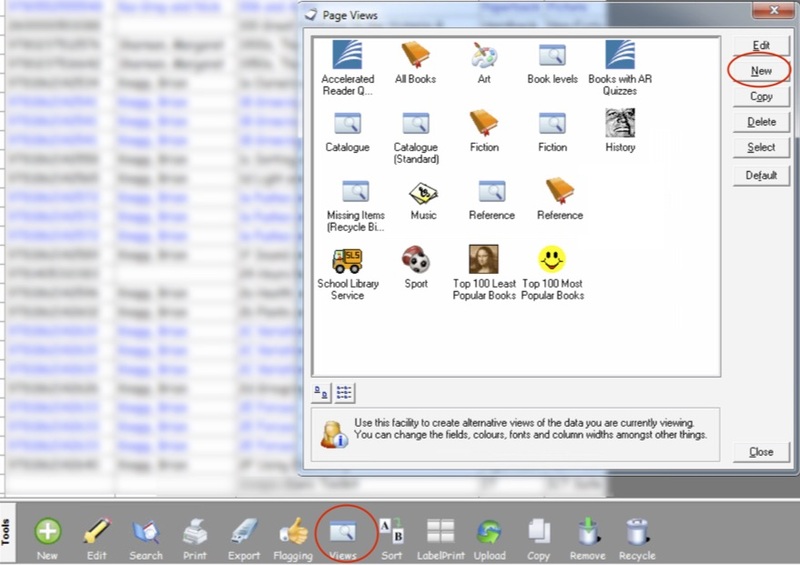 Press the "Views" button at the bottom of the screen and select "New" from the sidebar of the views dialog. (You can add others if desired for back-up purposes). 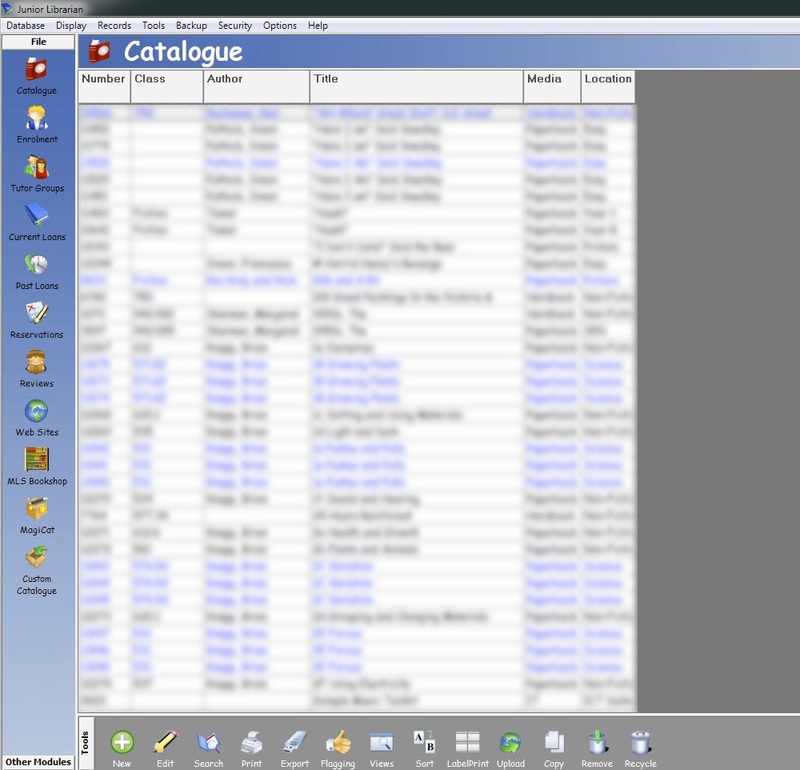 Once you have these three fields in your preview box, save your new View; I called mine "ISBN Catalogue". 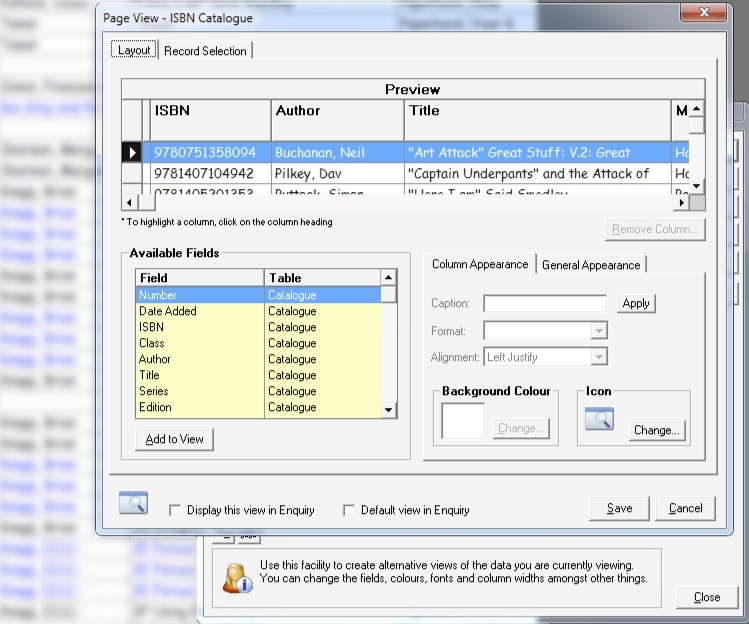 With your new ISBN view selected you can now export your books to a CSV file ready to be imported into the QuickTrack Library Software. Select the Export option from the Tools bar at the bottom and then select Comma Separated (*.csv) from the Save as type option. Give your CSV a relevant name and choose a location to save to. Repeat the above steps on your Enrolment database, ensuring that you have the PIN, Surname & Forename fields included. You can include more fields if desired. 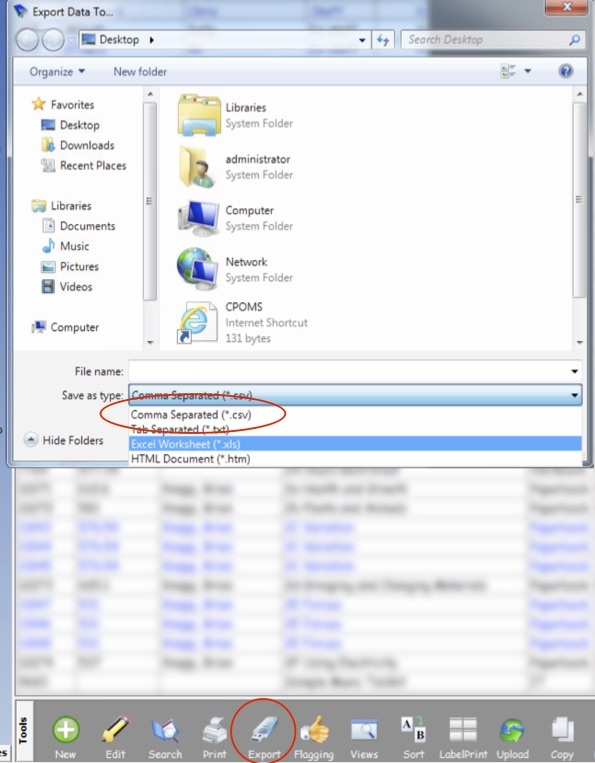 Once you have your 2 CSV files ready you can then import the data into the Peninsula QuickTrack Library Software. For help on how to do this there is a guide at the link below.